Curtis is a true Southern California native being born and raised in Southern California. Curtis began his insurance career in 1997 after graduating from The University of Arizona with BS in Political Science. 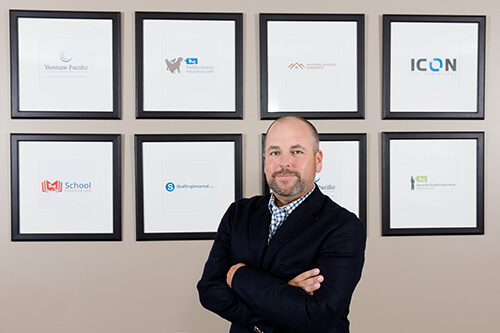 He subsequently relocated back to Southern California and decided to join his father in the startup of a family run Insurance Brokerage with a sole focus on providing property and casualty solutions to the middle market business sector. After joining forces with his father he immediately enrolled in the Safeco producer school and spent a month training with the Safeco professionals in Seattle, Washington. Curtis primarily focuses on three core areas of expertise. These are Ready Mix Concrete & Material Dealers, Construction and Security Guards. Over the years he has has turned his focus towards large risks and moved from the standard commercial insurance model to implementing a behavioral approach to risk management. Early on he saw the value in showing clients how they can maximize their coverage and control their costs by managing their losses more effectively through the use of HR consulting, safety / loss control, claims administration and OSHA compliance.